Image courtesy of the City of Long Beach. 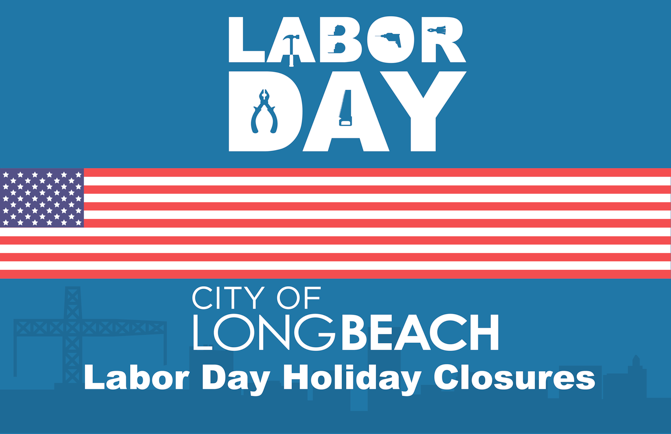 With Labor Day next week, the City of Long Beach has announced which offices and services will adhere to the following schedule on Monday, September 4. City Hall will reopen on Tuesday, September 5. There will be no scheduled Street Sweeping or enforcement of street sweeping violations on Monday. Street sweeping will resume its regular schedule Tuesday. Parking Meters that state “Exempt on Holidays” will not be enforced on Monday. The days and hours of enforcement are visible inside the meters. Trash and Recycling will be collected as scheduled on Monday. The Towing Operations & Vehicle Storage Facility that is located at 3111 East Willow Street will be open for business as usual on Monday, September 4. More information can be found here.